​Canadian-American cellist Britton Riley enjoys a diverse musical career as a performer, teacher, artistic director, and recording engineer. Formerly the Assistant Principal Cellist of the Calgary Philharmonic Orchestra, he returned to Toronto in 2015 to join the Toronto Symphony Orchestra at the age of twenty-seven. Dr. Riley has recorded for film and radio for Sony Pictures, CBC Radio 2, Classical KUSC, and the Detroit Symphony Orchestra’s Live from Orchestra Hall series and has performed throughout the world in venues including Carnegie Hall, Boston Symphony Hall, Chicago’s Orchestra Hall, Walt Disney Concert Hall, Barcelona’s Palau de la Musica Catalana, Smetana Hall in Prague, Wiener Konzertaus, Liszt Haus Weimar, and Temppeliaukio Church in Helsinki among others. Dr. Riley has received recognition throughout North America in the National Foundation for the Advancement in the Arts Awards (now YoungArts) and Boston Symphony Orchestra’s Concerto Competition as well as the Sphinx and Hellam Competitions. He has performed at music festivals throughout North America and Europe including the Banff Summer Music Festival, New York String Orchestra Seminar, Music by the Sea, Le Domaine Forget Chamber Music Festival, Weimarer Meisterkurse, St. Lawrence String Quartet Seminar, and the Sunflower Music Festival, and regularly appears on chamber music series throughout Canada and the United States. After receiving degrees in Cello Performance and Music Industry from the University of Southern California, Dr. Riley went on to earn his Master of Music and Doctorate degrees from the University of Michigan. During his graduate studies, he performed regularly with the Detroit Symphony Orchestra and served as teaching assistant to Richard Aaron. Other primary influences have included Eleonore Schoenfeld, Raphael Wallfisch, Desmond Hoebig, Colin Carr, Gilda Barston, and Nancy Hair. Dr. Riley has performed in master classes for many of the great living pedagogues including Steven Doane, Timothy Eddy, Gary Hoffman, Hans Jorgen-Jensen, Paul Katz, and Miklós Perényi. Following his graduation from the University of Michigan, he was named a Rebanks Fellow at The Royal Conservatory of Music in Toronto in 2013. In addition to maintaining a private teaching studio in Toronto, Dr. Riley has taught at Mount Royal University, The Royal Conservatory of Music, The National Academy Orchestra of Canada, Calgary Youth Orchestras, and the Alberta Youth Orchestra Symposium at the Banff Centre. He is the founder of Chamber Music at New Park, an exciting series in Ithaca, NY which provides a unique, relaxed, and stimulating environment for musicians to meet, collaborate, and share with the community, aiming to create a welcoming concert experience for all ages. In 2018, he received an MPower Artist Grant from the Sphinx Organization to continue the growth of the festival. Click here to visit Britton's website. Cellist Joseph Johnson has been heard throughout the world as a soloist, chamber musician and educator. His festival appearances include performances in all classical genres at the American festivals of Santa Fe, Bach Dancing and Dynamite Society, Bard, Cactus Pear, Grand Teton, and Music in the Vineyards as well as the Pacific Music Festival in Sapporo, Japan, and the Virtuosi Festival in Brazil. Highlights of Joseph Johnson's 2016/2017 season include concerto performances of the Schumann Cello Concerto with the Toronto Symphony and the North American Premiere of Marc-Andre Dalbavie's Concerto for Cello and Orchestra with the Esprit Orchestra in November. Other concerto appearances include Tan Dun's Elegy: Snow in June with the New World Symphony in Miami, and the Dvorak Concerto at the Lakes Area Festival in August. Joseph made his Edmonton Symphony debut with a performance of the Brahms Double Concerto as well as Miguel del Aguila's Concierto en Tango, a concerto of which Mr. Johnson performed the Canadian Premiere with the Toronto Symphony. Recital appearances this year include performances at the Faculty of Music Walter hall series at the University of Toronto, the Chatter series in Albuquerque, Placitas Artist Series, Santa Fe Chamber Music Festival, Music in the Vineyards in Napa, Toronto Summer Music Program, Mountain View Music in Calgary, Noon Concert series at the Canadian Opera Company, and the Chamber Players series in Toronto. Mr. Johnson recently celebrated the release of his album with pianist Victor Asuncion featuring the Rachmaninoff and Shostakovich Sonatas. He also completed a special recording project with the G. Schirmer Instrumental Library: The Cello Collection. Published in three volumes by Hal Leonard and featuring companion recordings by Mr. Johnson, this project presents cello literature appropriate for recitals and contests, and is available online and from major music retailers worldwide. In 2012 Joseph Johnson performed the North American premiere of the Cello Concerto Grosso by Peter Oetvos with the Toronto Symphony Orchestra, a co-commission with the Berlin Philharmonic. He recently performed Don Quixote with Sir Andrew Davis and the Toronto Symphony, as well as with Victor Yampolsky and the Northwestern University Symphony Orchestra, performed the Barber Cello Concerto with the Cincinnati Chamber Orchestra, and performed multiple concerts in the summer of 2016 at the Santa Fe Chamber Music Festival. Mr. Johnson is a founding member of the XIA quartet. Principal cellist of the Toronto Symphony Orchestra since the 2009/2010 season, Mr. Johnson previously held the same position with the Milwaukee Symphony Orchestra. He also serves as principal cellist of the Santa Fe Opera, and during the 2008-2009 season, was acting principal cellist of the Honolulu Symphony Orchestra. Prior to his Milwaukee appointment, Joseph Johnson was a member of The Minnesota Orchestra cello section for eleven years, during which time he performed numerous chamber music works during the orchestra's Sommerfest, both as cellist and pianist. He was a founding member of both the Prospect Park Players and the Minneapolis Quartet, the latter of which was honored with The McKnight Foundation Award in 2005. A gifted and inspiring teacher, Mr. Johnson is Assistant Professor of Cello at the University of Toronto. He has conducted numerous master classes for a wide range of institutions and ensembles, including The New World Symphony, The Shepherd School of Music at Rice University, Eastman School of Music, Manhattan School of Music, Northwestern University, and the youth orchestras of the Milwaukee, Minneapolis, Chicago, and Toronto symphonies, as well as at The Glenn Gould School of The Royal Conservatory of Music in Toronto. A graduate of the Eastman School of Music, Joseph Johnson earned his master's degree from Northwestern University. Awards and honours include a performer's certificate from the Eastman School of Music and first prize from the American String Teachers Association National Solo Competition. Mr. Johnson performs on a magnificent Paolo Castello cello made in 1780 in Genoa. Praised for his “impressive refinement, eloquent phrasing, and singing tone” by The New York Times, American cellist Matthew Zalkind has performed throughout the United States and abroad as a recitalist, soloist and chamber musician. Mr. Zalkind was awarded First Prize in the Washington International Competition, as well as top prizes in the Beijing International Cello Competition, Korea’s Isang Yun Gyeongnam International Competition and the Juilliard School Competition. He also won distinction as the top-ranked American and one of the final eight concerto semi-finalists in the International Tchaikovsky Competition in Moscow. As a soloist, Mr. Zalkind has performed concerti with such organizations as the Moscow Chamber Players, the Albany Symphony, the Hongzhou Philharmonic, the Utah Symphony, the Tongyeong International Music Festival Orchestra, the Music Academy of the West Festival Orchestra and the Juilliard Symphony Orchestra. Mr. Zalkind has performed concerti with conductors Ludovic Morlot, Thierry Fischer, Giancarlo Guerrero, David Alan Miller and several others. Mr. Zalkind has given recitals at the Phillips Collection in Washington, DC, the University of Michigan in Ann Arbor, MI, Gardner Hall in Salt Lake City, UT, the Moscow Conservatory in Moscow, Russia, The Dame Myra Hess series in Chicago, The Juilliard School in New York, the Kennedy Center’s Terrace Theater in Washington, DC and the Beijing Concert Hall in Beijing, China. An active chamber musician, Mr. Zalkind has participated in numerous music festivals, including Marlboro and “Musicians from Marlboro” tours, Music from Angel Fire, Olympic Music Festival, Innsbrook Institute, Twickenham Festival, and Ravinia’s “Steans Institute.” Mr. Zalkind has performed chamber music at Carnegie Hall’s Weill Recital Hall, the Kennedy Center’s Terrace Theater, New York’s Alice Tully Hall and the Metropolitan Museum of Art. As a member of the acclaimed Harlem String Quartet, Mr. Zalkind toured internationally with jazz legends Stanley Clarke, Chick Corea and Gary Burton. Mr. Zalkind has a strong interest in teaching and outreach. He was awarded a Gluck Community Service Fellowship at The Juilliard School for four years, performing concerts at treatment facilities throughout the five boroughs of New York City. Mr. Zalkind is now an Assistant Professor at the University of Denver’s Lamont School of Music. A Salt Lake City native, Mr. Zalkind’s primary mentors included Richard Hoyt, Pegsoon Whang, Timothy Eddy, Richard Aaron, and Hans Jørgen Jensen. Mr. Zalkind has Bachelors and Masters degrees from Juilliard, and a Doctorate of Musical Arts from the University of Michigan. Cellist Alice Yoo has been warmly hailed for her sensitive musicianship, expressive nuance, and passionate commitment to teaching. She has performed extensively throughout the United States and abroad as a soloist, recitalist, and chamber musician, performing in prestigious venues such as New York’s Carnegie Hall, Boston’s Jordan Hall, the Library of Congress, and the Kennedy Center in Washington, D.C.
A sought after chamber musician, Alice has collaborated with distinguished artists including Itzhak Perlman, Mitsuko Uchida, Dénes Varjon, Donald Weilerstein, Pamela Frank, Miriam Fried, Midori Goto, Kim Kashkashian, Jonathan Biss, and members of the Cleveland, Guarneri, and Juilliard Quartets. She has been invited to esteemed festivals including the Marlboro Music Festival, Ravinia Festival’s Steans Institute, Music@Menlo, Caramoor Evnin Rising Stars, Perlman Music Program, and IMS Prussia Cove Open Chamber Music. She regularly tours with Musicians from Marlboro and will appear on their East coast tour in November 2018. Alice regularly appears with premiere ensembles including the New York Classical Players, East Coast Chamber Orchestra, Colorado Symphony Orchestra, and Grammy nominated ensembles A Far Cry, The Knights, and Metropolis Ensemble. From 2012-2014, Alice was a member of Ensemble Connect (ACJW), a program of Carnegie Hall, the Juilliard School of Music, and the Weill Music Institute in partnership with the New York City Department of Education. In addition to creating engaging chamber music programs for detention centers, hospitals, and other community centers in all five boroughs of New York City, she was a guest teaching artist in Edward R Murrow High School in Brooklyn for two years. Alice currently teaches chamber music at the University of Denver's Lamont School of Music. She was faculty of cello and chamber music at Bard College’s Preparatory Division from 2012-2015 and has given masterclasses across the United States. As winner of the USC 2009 String Concerto Competition, Alice performed Samuel Barber’s Cello Concerto with the USC Chamber Orchestra under the baton of Jorge Mester with the performance later featured on KUSC radio. She has won top prizes in the Holland-America Music Society Competition, Schadt International String Competition, and Klein International String Competition. Alice has appeared as soloist with the USC Chamber Orchestra, Cleveland Philharmonic, New York Classical Players, Billings Symphony, and the Bozeman Symphony. Her performances have been featured and broadcasted on Los Angeles’ KUSC, Chicago’s WFMT, and Boston’s WGBH. Passionate for new music, Alice has worked closely with the esteemed composers Sophia Gubaidulina, Jennifer Hidgon, György Kurtág and John Harbison. She has given world premieres of emerging composers Samuel Carl Adams and Andy Akiho at Carnegie Hall. Recent recordings include Pierre Jalbert’s String Trio for Music at Copland House, music of the Tonight Show band The Roots, and works by Andy Akiho and Derek Bermel with Grammy award-winning producer Judith Sherman. A native of Bozeman, Montana, Alice began her cello studies with Dr. Ilse-Mari Lee and was a pupil of Richard Aaron in the Cleveland Institute of Music's Young Artist Program. She earned a Bachelor of Music Degree from the New England Conservatory, studying with Paul Katz. Under the tutelage of Ralph Kirshbaum, she received a Post-Graduate diploma from the Royal Northern College of Music in Manchester, England and a Masters Degree from the University of Southern California’s Thornton School of Music. Alice currently resides in Denver, Colorado. A native of Rosebud, Alberta, violist Keith Hamm is rapidly gaining recognition as a dynamic and exciting young presence on the Canadian music scene. Upon completion of his studies, Keith was named Principal Violist of the Canadian Opera Company Orchestra. Mr. Hamm received his training at The Glenn Gould School of Music under the instruction of Steven Dann, and at the Mount Royal Conservatory under Nicholas Pulos. Other influences include Pinchas Zukerman, Mark Fewer, Richard Lester, the London Haydn Quartet, and especially formative summers at the Chamber Music Programme at Le Domaine Forget. He is an alumnus of the International Musicians Seminar at Prussia Cove; the Sarasota Music Festival; Masterclasses at The Banff Centre, and Morningside Music Bridge. Mr. Hamm has been featured on CBC Radio, Classical 96.3 and has been named one of Canada’s Hottest 30 Classical Musicians Under 30 by CBC. A dedicated chamber musician, Mr. Hamm has shared the stage with Anssi Kartunnen, Ernst Kovacic, Richard Lester, David Geringas and members of the Smithsonian Chamber Players. Keith has been invited to perform at the Ravinia Festival as guest violist with the Royal Conservatory’s ARC Ensemble; the SweetWater Music Festival in Owen Sound; Ottawa Chamberfest, and at Music By The Sea in Bamfield, BC. He performs regularly on the Skylight Series in Toronto’s Distillery District and is co-founder and producer of Stereo Live at Toronto’s Campbell House Museum. He is also the Founder and Artistic Director of The Rosebud Chamber Music Festival in Rosebud, Alberta. Mr. Hamm plays on a viola made by Joseph Curtin in 2001. Toronto-based violist Rory McLeod enjoys an exciting and varied career as a chamber musician, orchestral player, artistic director, and teacher. He believes strongly in the connective power of music, and makes it his mission to use music to create real personal connections among people. Together with his wife Emily Rho, Rory co-directs Pocket Concerts, a friendly home-grown concert series that provides “an intimacy that’s hard to find in the concert hall” (Toronto Star), presenting top-quality chamber music experiences in homes and offices all over Toronto. Rory and Emily are now expanding their impact by helping friends in other cities start their own in-home concert series, and by advising other arts entrepreneurs through panels, speeches, and courses in the Toronto area. Over the past few years, Rory has followed his passion for chamber music across the continent and beyond, playing with the Smithsonian Chamber Players in Washington, D.C., and also at the SweetWater Festival (Owen Sound), Chamber Music @ NewPark (Itahaca, NY), The Toronto Summer Music Festival, The Lunenburg Academy of Music Performance, The Mendelssohn on Mull Festival (Scotland), and Le Domaine Forget (Quebec). Together with Yolanda Bruno, Mark Lee, Leana Rutt, and Emily Rho, Rory formed The Iris Ensemble in June 2017 to act as ensemble-in-residence at The Lunenburg Academy of Music Performance. The "Irises" will return to LAMP in June 2018 to work with young composers and premier new chamber works, and perform with some of Canada's top musicians. You can also hear The Iris Ensemble in Toronto at The 21C Festival on May 27th, and in the Public Pocket Concert on June 3rd 2018. Rory frequently plays as an extra with The Canadian Opera Company Orchestra, The National Ballet of Canada Orchestra, and The Kitchener-Waterloo Symphony. He served as assistant principal viola of Symphony Nova Scotia from 2010-12, during which time The Chronicle Herald chose him as one of Halifax’s Top 20 20-Somethings. He has played principal viola with “Toronto’s all-star classical band” the Group of 27 Chamber Orchestra, and with The Elora Festival Orchestra. Rory holds a B.A. in English Literature from McGill University and a Performance Diploma from the Glenn Gould School. He studied viola with Steven Dann and Jean MacRae. Canadian violinist Aaron Schwebel has performed throughout the world in various musical roles. 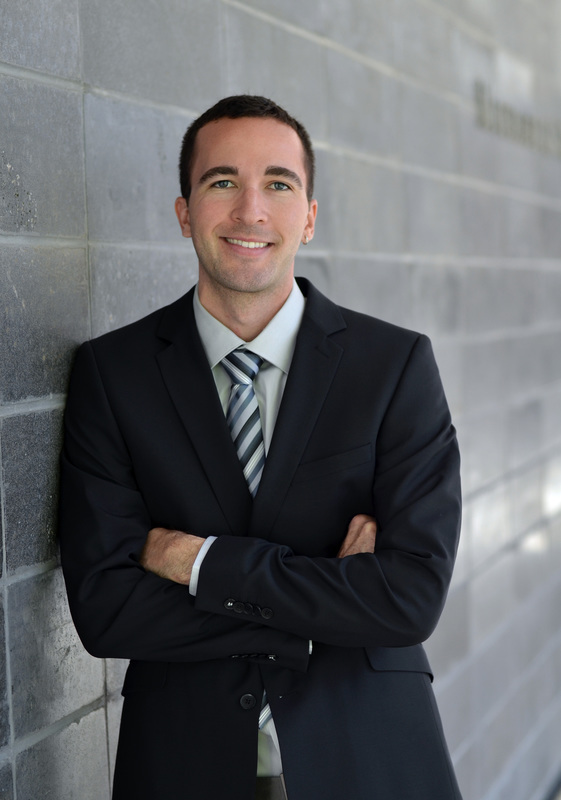 Based in his native Toronto, Aaron currently holds the positions of Concertmaster with the National Ballet of Canada Orchestra and Associate Concertmaster with the Canadian Opera Company. In the past, Aaron has performed as guest concertmaster with the National Arts Centre Orchestra, Les Violons Du Roy, the Hamilton Philharmonic Orchestra, Kitchener-Waterloo Symphony, and Orchestra London. Aaron has performed as a soloist with the Toronto Symphony Orchestra, Sinfonia Lanaudiere, the National Ballet of Canada Orchestra, and McGill Symphony Orchestra. An active chamber music performer, he is a founding member of the Toronto-based Penrose Trio, LARK ensemble, and Rosebud Quartet, and has been on faculty as a chamber music coach at Toronto Summer Music Festival and Klezkanada. He has been invited to take part in Ottawa Chamberfest, Montreal Chamber Music Festival, Music By The Sea in Bamfield, British Columbia, and the Rosebud Chamber Music Festival. Aaron is grateful to be playing on a 1753 Joannes Baptista Guadagnini violin, on loan to him from the Canada Council for the Arts Instrument Bank. Aaron did his studies at McGill University and Indiana University with teachers Jonathan Crow, Yaela Hertz, Mauricio Fuks, and Andre Roy. As a student, Aaron was a member of the Roddick String Quartet, representing Canada at the London International String Quartet Competition, and the Kuttner Quartet, Indiana's resident string quartet. Upon graduation from McGill, Aaron was awarded the Schulich School of Music’s Golden Violin Award. Canadian violinist Jeffrey Dyrda has performed across the Americas, Europe and Asia in a variety of musical roles. He has had extensive experience as concertmaster, leading international ensembles such as the Verbier Festival Orchestra, the Lucerne Academy Orchestra, and the New World Symphony. Mr. Dyrda has also appeared as Guest Concertmaster for the Jacksonville Symphony, Kitchener-Waterloo Symphony and the Hamilton Philharmonic Orchestra. He has recently concluded three seasons as the second violinist of the Rolston String Quartet, with whom he received the Cleveland Quartet Award, as well as the first prizes of the Banff International String Quartet Competition and the Chamber Music Yellow Springs Competition. They also received prizes at the M-Prize Competition and Bordeaux International String Quartet Competition, and were winners of the Astral Artists 2016 auditions. Mr. Dyrda performed with the Rolston Quartet to audiences in Canada, the United States, Germany, Italy, France, Belgium, England, the Netherlands, and the Czech Republic, as well as at the Spoleto, Cliburn and Banff festivals. Some of their most notable performances have taken place at Esterh​á​zy Palace, La Chapelle Musicale Reine Elisabeth, Weill Recital Hall at Carnegie Hall, and the Smithsonian Institution. Mr. Dyrda has appeared on stage with musicians such as Emanuel Ax, Shmuel Ashkenasi, Don Palma, Miguel da Silva, Natalie MacMaster, James Austin Smith, the St. Lawrence String Quartet, the Dover Quartet and the Grammy​ nominated chamber orchestra A Far Cry. His mentors include Lucy Chapman, Denise Lupien, Andre Roy, Gwen Hoebig, Barry Shiffman, Norman Fischer, James Dunham, Kenneth Goldsmith, and the members of the Brentano and Alban Berg Quartets. Devoted to social projects and music education, Jeffrey has mentored at the Academia Filarmonica de Medellin in Colombia and served in South Korea as concertmaster for a World Peace Orchestra comprised of musicians from a multitude of UN countries. He has taught at Virginia Tech’s Intensive Chamber Music Seminar, and he holds degrees from Rice University, New England Conservatory, and McGill University, as well as Fellowships from the New World Symphony and Yale University, where he taught chamber music as part of their Fellowship String Quartet in Residence. An international award-winner both as a violinist and composer, Alice Hong was featured on CBC’s 2018 edition of “30 Hot Classical Musicians Under 30”. As a violinist, Alice has been featured as a performer and composer in Atlanta Symphony’s Conversation of Note series with Robert Spano and toured with Heifetz Institute of Music’s Heifetz on Tour as well as Lincoln Center Stage on Holland America Line cruising through Alaska and the Northwest Pacific. She has performed her own compositions at the Kennedy Center in Washington, DC, Spoleto Festival USA, and Heifetz on Tour. She has also performed with the Toronto Symphony Orchestra, Charleston Symphony Orchestra, and Kitchener-Waterloo Symphony as a substitute violinist and alongside esteemed musicians such as James Ehnes, Frans Helmerson, Mihaela Martin, Jonathan Crow, and Barry Shiffman, among others. Her performances have been featured on CBC radio, WABE 90.1 Atlanta and WSMR 89.9 Tampa. Alice holds degrees from Rice University's Shepherd School of Music as a Dorothy R. Starling Foundation Scholar and the Cleveland Institute of Music, and she is currently a doctoral candidate at the University of Toronto as a Harold Carter Foundation fellow studying privately with Jonathan Crow. She has had compositions performed in Hungary, Netherlands, China, Czech Republic, Canada, the United States, and in film-scores for Studio3D productions. Her works are published by Edition MatchingArts and have won multiple awards from the ASCAP Morton Gould Awards and first prizes at the International Keuris Competition, Carl E. Baldassarre Composer-Virtuosi Competition, NorCal Viola Society Commission Contest, Pikes Peak Composition Competition, and third prize along with the audience prize for the 2018 Lands End Ensemble Composition Competition. Her pieces have been performed and read by the Toronto Symphony Orchestra, Ludwig Symphony Orchestra, CIM Symphony Orchestra, Amersfoort Youth Orchestra, and members of the New York Philharmonic, Toronto Symphony, Atlanta Symphony, Canadian Opera Company, Rolston String Quartet and Cypress String Quartet, among others. Her piece “Phoenix” will be performed by the Georgian Bay Symphony in October 2018. Meredith Riley enjoys a varied career as a tenured member of the violin section of the Richmond Symphony where she is a core strings leader for their educational outreach program, chamber musician and teacher. Previously, Meredith was a member of the Erie Philharmonic and Canton Symphony, and appeared as guest Concertmaster of Johnstown Symphony while completing graduate studies at Carnegie Mellon University under the direction of Andres Cardenes. Ms. Riley received her BMus in Violin Performance at the University of Texas as a student of Brian Lewis. Other important musical mentors in Meredith’s life include Linda Case and Laura Bossert. Ms. Riley toured with Sphinx Virtuosi throughout the US in 2016 and 2017 and will rejoin the core ensemble for their national tour in 2018. Other upcoming engagements in the 2018-2019 season include subscription concerts with the Chamber Music Society of Central Virginia and the Smithsonian Chamber Music Society. Ms. Riley’s accolades include recognition in the Young Texas Artist Awards, Crescendo Music Awards, National Sphinx Competition and selection as a Young Artist for the Starling Delay Symposium at the Juilliard School and National Alliance for Audition Support's inaugural program. Solo appearances include those with the Cayuga Chamber Orchestra, Syracuse Symphony Orchestra, New England String Orchestra, and both University of Texas Symphony ensembles. Ms. Riley's past chamber engagements include appearances with the Smithsonian Chamber Players, and quartet in residence Kamila Quartet at Steamboat in 2017. Summer festivals include Encore School for Strings, Heifetz International Music Festival, Chautauqua, the International Music Academy of Plzen, Czech, MIMU festival in Uberlandia, Brazil, Sunflower Music Festival, Toronto Summer Music Festival, Bamfield Music by the Sea, Steamboat Strings Music Festival, Le Domaine Forget’s intensive chamber music program and the International Musical Enghien in Brussels. Rounding out her classical interests, Ms. Riley has recorded with John Legend, Josh Jacobson and XAmbassadors. Laura Anne Bossert, violinist/violist, a Silver Medalist in the Henryk Szeryng International Violin Competition, has earned recognition for her artistry as a soloist, chamber musician, and pedagogue. She is also one of the most respected and sought after teachers of her generation. Ms. Bossert is an Associate Professor of violin and viola at the Setnor School of Music of Syracuse University, Wellesley College, the Longy School of Music of Bard College and in the summer months, The Quartet Program, LyricaFest, ArtsAhimsa and Wellesley Composer’s Conference. Her students hold positions in many wide ranging institutions such as the San Francisco, Portland, Milwaukee, and Houston Symphony, and National Canadian orchestras, Handel and Haydn Society, BBC Radio Orchestra, Helsinki, Santiago and Royal Philharmonics, the Hausmann & Cecilia String Quartets, (Banff’s 2010 International Quartet First prize winners), A Far Cry, New England Conservatory, Santa Fe Opera, Community Music Works, University of Ottawa, San Diego State University and the Longy School of Music. They have been awarded top prizes in international and national competitions such as Young Concert Artists, Fischoff, Spohr, the Banff & Miami String Quartet Competitions and the Music Teacher’s National Association (MTNA). Ms. Bossert has appeared in collaboration with Elmar Oliveira, Joseph Silverstein, Paul Neubauer, William Preucial, Kim Kashkashian, David Jolley, Joseph Robinson and with ensembles such as the Muir and Lark String Quartets, Amelia, Raphael and Mirecourt Piano Trios. She has toured as an improv violinist with David Amram and Chuck Mangione, and was a frequent guest artist, with the Boston based ensemble, Cello Chix. Ms. Bossert started her early career as an orchestral player, having played with the Utah Ballet Orchestra (Ballet West), and as guest concertmaster of the Tucson and Oklahoma Symphony Orchestras. Currently, she leads the Lyrica Boston Chamber Orchestra. Recent performing highlights include chamber music appearances with David Finckel, the Ellipsis Piano Trio, Con Affetto & the Hausmann String Quartets, Vocollage and a debut recording sponsored by the Rebecca Clarke Society of the violin duo repertoire. Bossert resides in Lincoln, Massachusetts with her husband, cellist Terry King and their very loved Brittany spaniel dog, Buddy. With Terry they co-direct LyricaFest, a chamber music festival for college and conservatory students now in its 18th season. Violinist Jamie Kruspe was appointed as Assistant Concertmaster of the Canadian Opera Company Orchestra in the fall of 2014. He was awarded the 2010 Orford String Quartet Scholarship by the Ontario Arts Council, who remarked that he "plays with conviction and confidence, producing a singing tone." In 2011, Mr. Kruspe won the University of Toronto Symphony Orchestra Concerto Competition, performing the Beethoven Violin Concerto with the U of T Symphony Orchestra in 2012. Mr. Kruspe has appeared as concertmaster of numerous ensembles including the University of Toronto Symphony Orchestra, the Royal Conservatory Orchestra, and the Scarborough Philharmonic. In 2012, he was named concertmaster of the Koffler Chamber Orchestra. Other orchestral engagements include frequent performances with the National Ballet of Canada Orchestra. Jamie has attended several chamber music festivals including Kneisel Hall (2011), Le Domaine Forget (2014), and Chautauqua Institution (2007, 2008, 2010). He holds Bachelor and Master of Music degrees from the University of Toronto, where he studied with Jacques Israelievitch, Annalee Patipatanakoon, and Yehonatan Berick. He also holds an Artist Diploma from the Glenn Gould School at the Royal Conservatory of music as a student of Paul Kantor. Pianist Emily Rho is an open-minded and sought-after musician based in Toronto, Canada. Forging a multi-faceted career of her own, she works as a pianist, artistic director, and educator. Alongside her performing career, Ms. Rho is the co-artistic director of Toronto’s Pocket Concerts, which presents high-quality chamber music concerts in intimate venues such as homes and workplaces all over Toronto. Most recently, she performed chamber music concerts at Toronto Summer Music Festival, Chamber Music @ New Park, le Salon Vert (Québec), The Belfountain Music Festival, The Lunenburg Academy of Music Performance, and the Eckhardt-Gramatté National Music Competition, among others. Through speaking engagements, Ms. Rho shares her experience as an arts entrepreneur. She has been invited as a guest speaker at various workshops through McGill University, National Academy Orchestra, Artscape and University of Toronto, where she discussed how Pocket Concerts was built and operates. Emily is a graduate of Interlochen Arts Academy, The Glenn Gould School, and University of Toronto. She is a member of the chamber music faculty at The Phil and Eli Taylor Performance Academy for Young Artists of The Royal Conservatory of Music, and also teaches privately. Emily is a newly minted PADI Open Water Certificate diver, and also sings alto in Acquired Taste Choir, a group that was founded through Pocket Concerts for professional instrumentalists who are interested in singing. ​Click here to visit Emily's website. and for the Kitchener-Waterloo chamber society. Artist Diploma from the GGS, and a Masters from Juilliard.